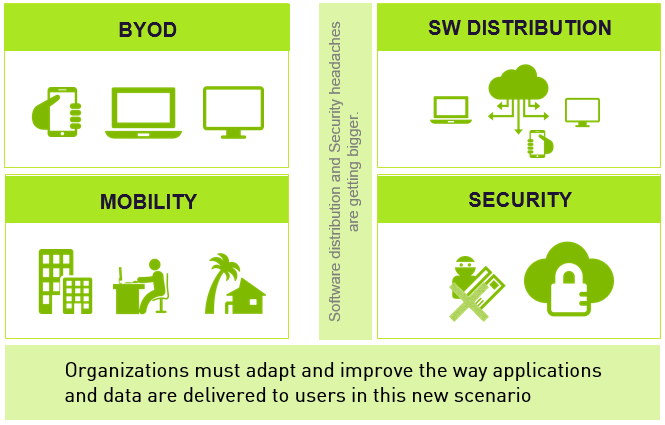 BYOD & Mobile Workers and pushing in the Security and Software distribution traditional headaches, making them bigger, faster and more critical. In the background, a Desktop transformation is rolling. 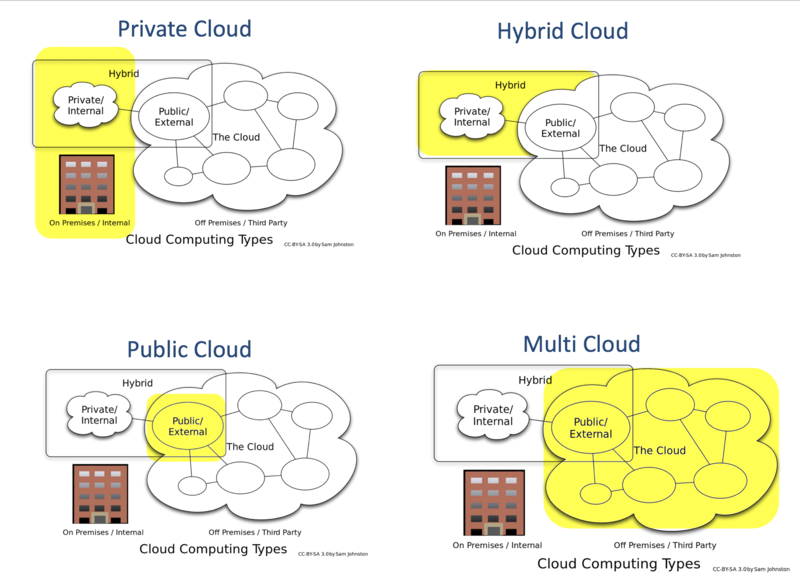 Gartner says in 2020 45% of the organization will have no owned devices, that is, they will be 100% BYOD organization, and only 15% or the organization will have no BYOD in place. Take a minute to think about these figures. They are awesome! We are not talking only about employees that bring they own laptop to the office, we are also talkling about tablets, phones and any new device that will allow employees to access their data and applications to create value for corporations. So there is an evidence: BYOD , Mobility, Anytime, Any-Device… all these topics put more and more pressure in IT departments to be able to deliver applications to all these devices and users without compromising security. “Anytime, anywhere information Work is the new normal” (Forrester,”2013 Mobile Workforce Adoption Trends”. Feb 2014). This is IT CONSUMERIZATION. 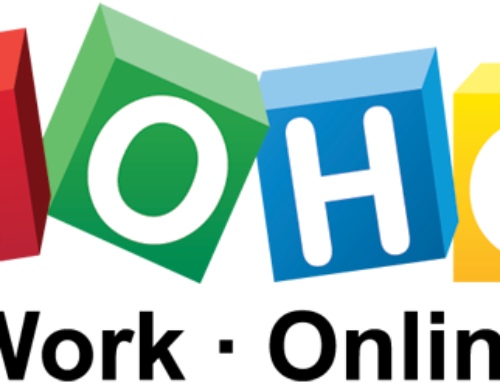 What is really happening is that the standard Layer Cake with HW, OS, Applications and Users, is exploding into many pieces, i.e. : new Operating Systems, tons of new devices. IT consumerization is driving the change, and nothing is going to stop it. The performance of the Windows desktop is decoupled from the speed of the client device or the network connection. 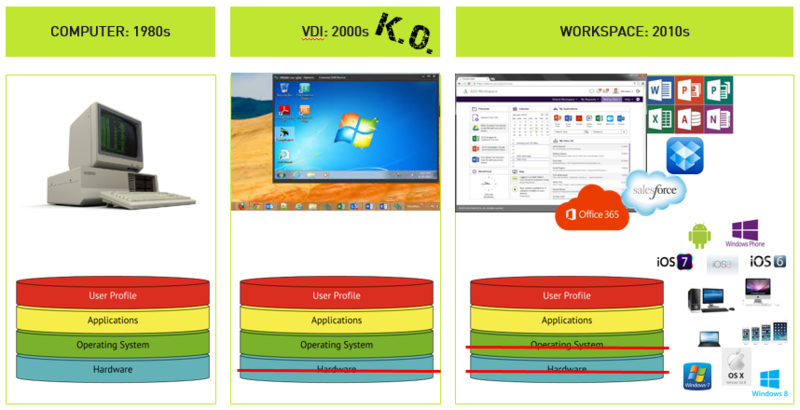 What did happen to VDI? I will problably discuss about it in some next post, but here I will summ it up with a number: “Today’s (2014) rate of VDI adoption is somewhere in the 1% to 3% range for enterprise desktops.”. Something was wrong with VDI, right? Server virtualization got more than 90% of the market very quickly, but Desktop virtualization did not succeed, it is a cold fact. 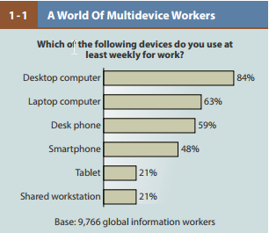 So, IT consumerization is supporting Mobility and BYOD adoption, and all three (which involves tons of advantages to employers and employees) are pushing this desktop transformation ahead, creating new needs to users, and new problems to IT departments. The traditional desktop, the Windows Desktop, understood as a hub where all applications, data, and setting are living together, is fading behind the legion of smart devices and new Operating systems. IT departments should focus on what they customers really need, and find solution the huge numbers of devices and OS that have appeared. 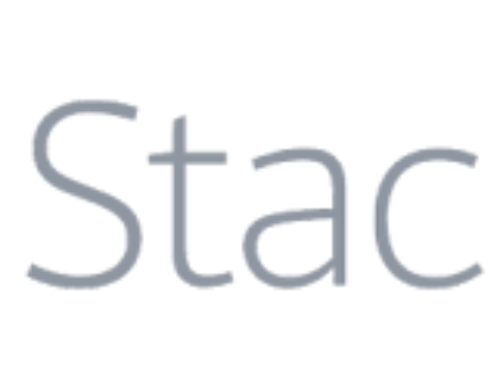 We are talking about forgetting the complexity of managing all these new devices and OS, and letting your Workspace aggregator to do the job: delivering Apps and data to any device, anytime, anywhere. 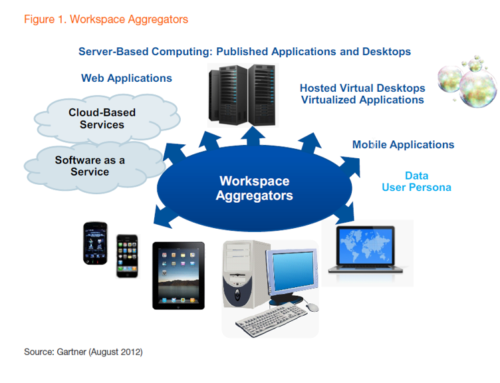 Source: Brian Madden, Desktops as a Service: Everything You Need to Know About DaaS & Hosted VDI. 2014 Edition. 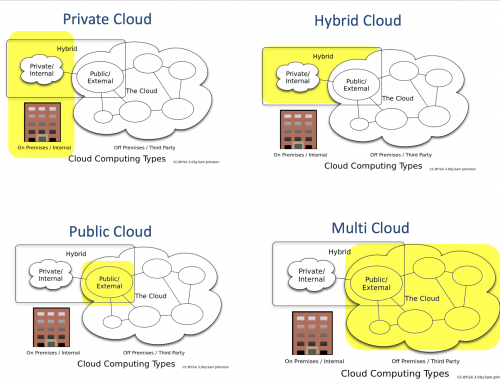 Hybrid, Private, Public and Multi-Cloud: A glossary.